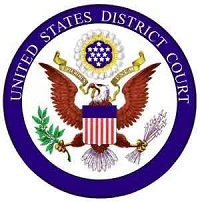 In a complaint filed March 15, 2012 in the U.S. District Court for the Middle District of Pennsylvania, Dr. Michael Stefanov claimed attorney Danielle M. Ross threatened parents with sanctions if her recommendations were not followed while the court abdicated its judicial duties to Danielle M. Ross and â€œrubberstampedâ€ her recommendations into court orders. Dr. Michael Stefanov, in a seven-count, 36-page complaint, also listed the county as a defendant, accusing all defendants of engaging in conduct that violated Pennsylvania law on when a guardian ad litem may be appointed to a dispute. He alleged violations of the Fourth and 14th Amendments to the U.S. Constitution and a violation of Article I, Section 8 of the Pennsylvania Constitution. Danielle M. Ross was appointed to Stefanovâ€™s custody case in 2008 without a hearing, according to the complaint. The lawsuit comes as rumors swirl over a possible federal investigation into Danielle M. Ross, who, according to court records, has handled hundreds of cases since the court tapped her sole guardian ad litem in 2008. The system came under scrutiny late last year after federal investigators subpoenaed documents from the Lackawanna County family court division. Several sources have told The Legal that investigators are looking into how, and how much, Danielle M. Ross billed litigants. Danielle M. Ross has not responded to several requests for comment by The Legal. Dr. Michael Stefnovâ€™s case was one of many in which Danielle M. Ross was appointed â€œautomatically,â€ after the family court implemented a new set of guardian ad litem procedures in 2008. And, according to the lawsuit, the court adopted those procedures with Rossâ€™ input. â€œIn or around early 2008, Ross, with the knowledge, consent, assistant and/or ratification of the County and the [Common Pleas Count], set out to create or assist in the creation of a system in which the [family court] would use a guardian ad litem in all or in virtually all custody proceedings and she would be the only guardian ad litem or essentially the only guardian ad litem,â€ Stefanov said in the complaint. A Sept. 22, 2008, procedural order reveals that the court allowed for the â€œautomatic appointmentâ€ of a guardian ad litem to cases where any of a 13-item list of circumstances were met. That order â€” which came some months into one of Rossâ€™ contracts and was signed by the president judge at the time, Judge Chester T. Harhut â€” allowed a guardian ad litem to be appointed to any case where â€œvisitation removal,â€ â€œlack of communication between partiesâ€ and relocation were involved, among other things. The complaint alleged that Danielle M. Ross subsequently gave a PowerPoint presentation to the Lackawanna County Bar Association outlining the function of the guardian ad litem and reiterating the types of cases that would trigger an automatic guardian ad litem appointment. Dr. Michael Stefanov alleged in the complaint that the Sept. 22 order violated the law. He cited a 2001 state Superior Court case in which the court required â€œextraordinary circumstancesâ€ as the threshold for a guardian appointment. The court in C.W. v. K.A.W also ruled that a guardian was not a judicial officer or a quasi-judicial officer, according to the complaint. Once the Sept. 22 order was implemented, Dr. Michael Stefanov claimed, Danielle M. Ross made herself the â€œarbiter and enforcerâ€ of what she thought was in the best interest of children whose cases to which she was appointed.